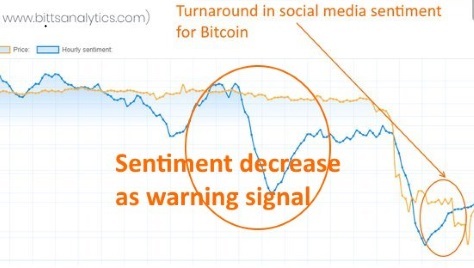 Why social media crypto sentiment? Bitts Analytics is based on a wide set of software solutions developed by our company Alpha Quantum. BittsAnalytics allows you to set up and track you own personalised portfolio. Our analytics tools allow you to easily us track the changes in portfolio value as well as individual cryptocurrencies of the portfolio. To better understand the potential of your personalized portfolio we provide you with historical simulations. Our Risk Management tools such as risk attribution will help you understand where are the main risks hidden in your portfolio. Risk metrics such as VaR and Maximum drawdown will help you understand possible losses in adverse scenarios. 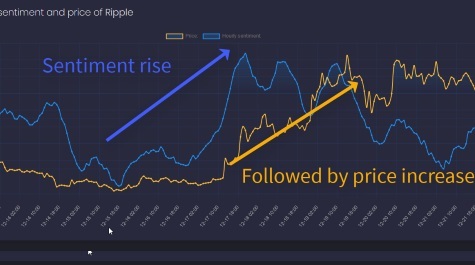 Prices of many assets are influenced by the hype and number of social media mentions about them. Often it is very worthwile to know which cryptocurrencies are the main talk of the financial world or which are experiencing a sudden surge in interest. You can get this information with our BittsAnalytics. 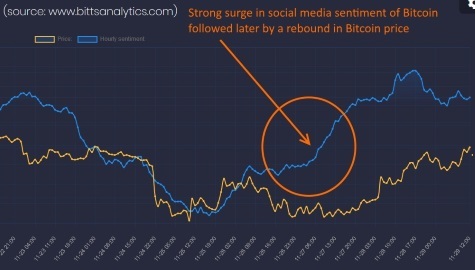 We are calculating number of mentions for cryptocurrencies in social media to find surges in interest as well as deliver historical comparisons and analysis. 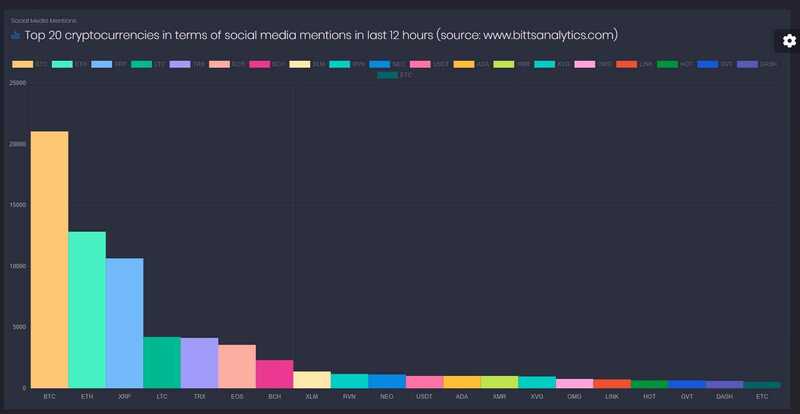 BittsAnalytics can thus serve as a very effective crypto social media tracker of cryptocurrencies. Prices of certain assets are importantly driven by the sentiment and hype about them. 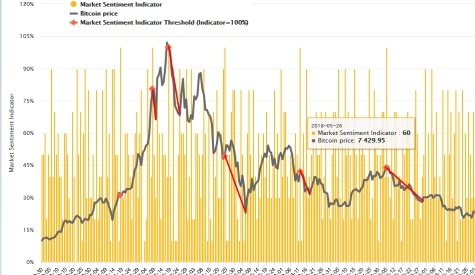 By subscribing to BittsAnalytics you can easily access cryptocurrency sentiment data in real-time and in historical chart. We provide you with Bitcoin Sentiment Index, Ethereum Sentiment Index and sentiment indices for all other cryptocurrencies. We also provide you with powerful analytical tools so you can easily get important insights from our sentiment data. 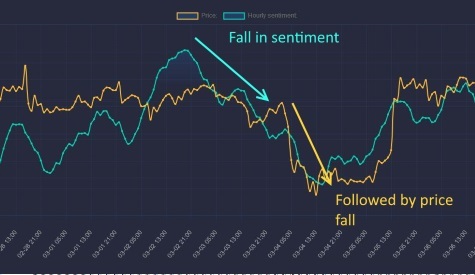 For examples of how real-time sentiment can serve as trading signals (what we call "BittsSignals") please visit our blog posts about BittsSignals. 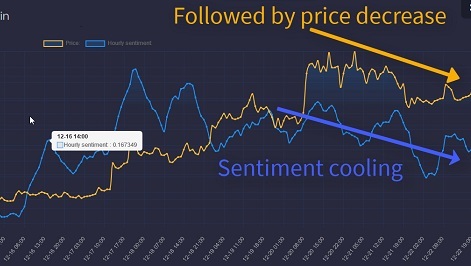 All of our sentiment data is also available as API. 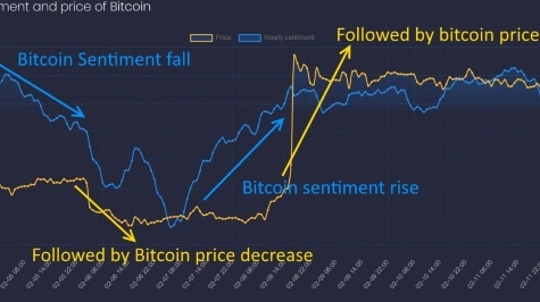 Crypto like other investment markets is also susceptible to phases of greed and fear, resulting in large swings of prices. Compared to stocks, this phenomenon has been more pronounced in the digital assets markets. To help with assessing the various phases of the cryptocurrency markets we have developed fear index and greed index for bitcoin and other crypto coins. We have also implemented such indices for the total market. We are tracking thousands of news sources each day to find thousands of important and insightful news on cryptocurrencies in real-time. 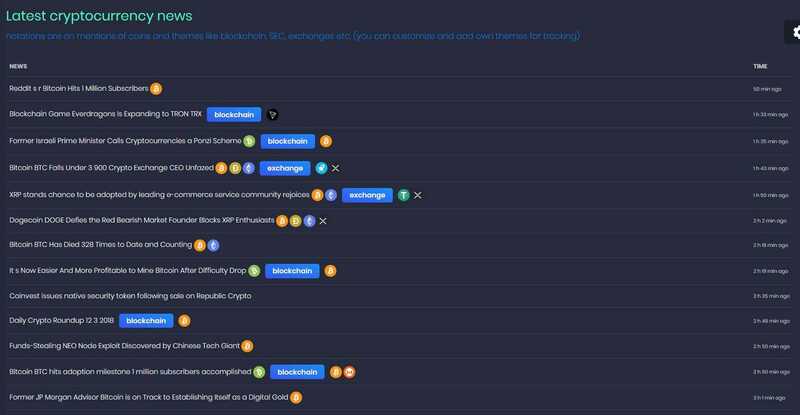 We categorize news per cryptocurrency so you can easily see all the important news about a given cryptocurrency published in real-time. Each news is also tagged with sentiment, determined with machine learning based on the text of the individual news. 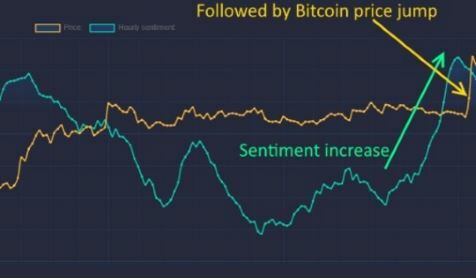 This gives you an additional way of searching for news and providing crypto news sentiment analysis about individual cryptocurrencies. In addition to top market capitalization coins, we also cover hundreds of others, including Litecoin, EOS, Binance Coin, Tether, Stellar, Cardano, Moneto, Dash, Tezos, Ontology, Maker, NEM and others. We have built a proprietary innovative system for assessing potential bands of resistance using deep learning applied on a vast amount of data we have at our disposal - pricing, trading, social media analytics and news data. 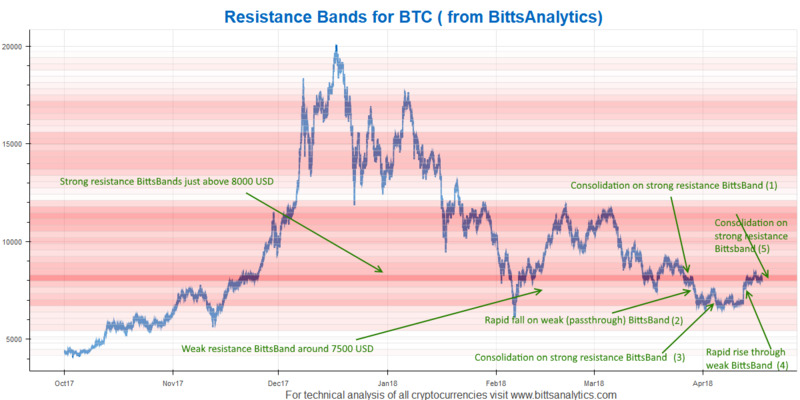 Bittsbands analytics is integrated in our crypto analytics platform helping you analyze possible price movements in different bands. 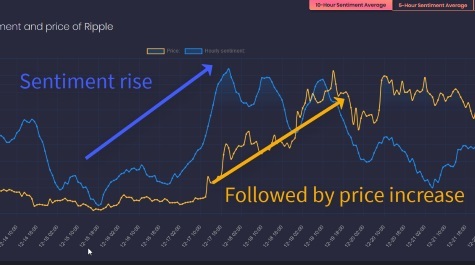 Bittsbands have proven excellent in analysing what may happen with future prices. For an introduction see e.g. 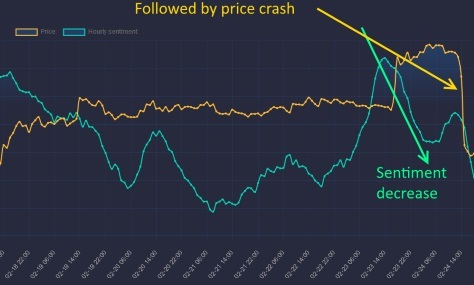 our blog post about recent application on Bitcoin: BittsBands excellent predictor of price movements. 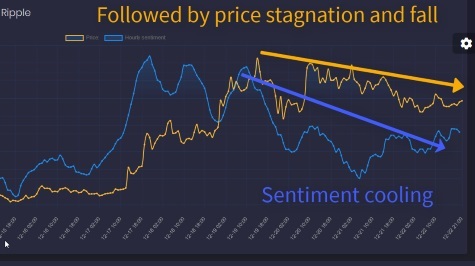 We are using deep learning on a vast and unique sets of data to assess potential bands of resistance in prices and help you in estimating possible price paths. We have built an advanced system for automated detection of chart patterns and integrated it in our platform. 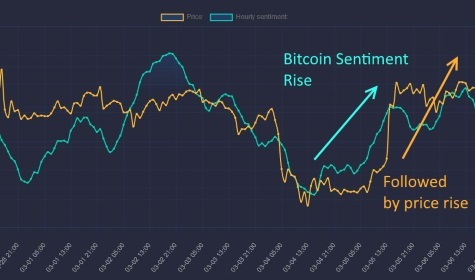 If you do not want to lose your time each day looking for new chart patterns on thousands of cryptocurrencies but want to have it available each day automatically then BittsAnalytics platform is the right solution for you. For patterns we will also provide you with advanced statistics such as risk reward ratios. If interested in bitcoin technical analysis or for thousands of other coins then BittsAnalytics is the right solution for you. 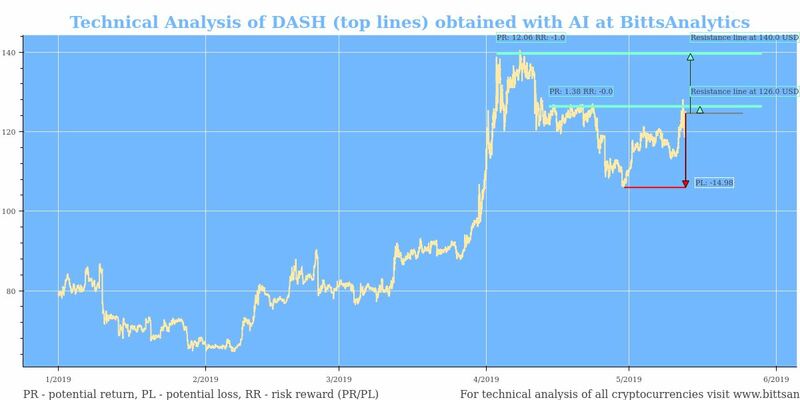 We are using machine learning to automatically detect complex chart patterns as part of our cryptocurrency technical analysis. Subscribe to our platform and let us do the chart patterns searching for you. BittsAnalytics is a high-quality platform which provides real-time, reliable and unique data REST APIs for the cryptocurrency market. We specialise in providing data sets with high impact on prices of digital assets: social media sentiment and social media mentions. Our APIs are used by many hedge funds and individual clients. We have been one of the early providers of crypto social media tracker. This allows us to offer our clients long historical ranges for our data, which is essential for building investment strategy models of high quality. We do not offer crypto API tiers based on number of ticker coins. With our plan you get data for all coins tracked. Use cases include systematic trading (a lot of our clients are hedge funds), market making, big data and data science products, portfolio value tracking. Access to data is granted upon purchase of our Advanced Plan, which provides you with your crypto api private key. One of our APIs that we offer for free is cryptocurrency news API. We track in real-time the most important stories related to Bitcoin, Ethereum, Ripple, Cardano, Tron and many other coins. Each news story is analysed by our machine learning models which determine sentiment polarity of texts.. This allows us to determine sentiment of news both on aggregate levels as well as for individual coins. If you subscribe to one of our plans you obtain access to our news aggregator which contains Bitcoin news feed api, Ethereum news feed api and for other coins. We are believers in customer satisfaction and will provide you with professional support with quick turnaround times.